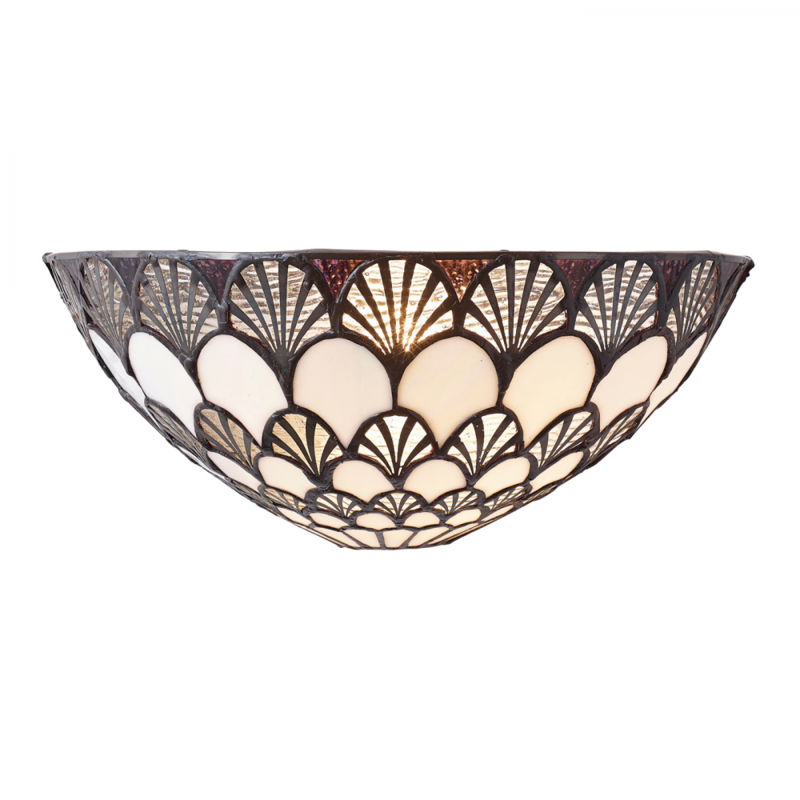 An attractive Tiffany style wall light formed from scalloped shaped glass sections in creams and browns, and teamed with a traditional bronze effect fitting. Dimmable and compatible with LED lamps. 14cm projection x 14cm height x 30cm width.